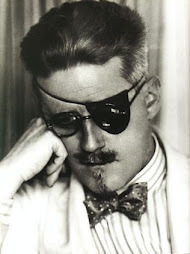 Bruff Bloomsday https://twitter.com/intent/follow?original_referer=http%3A%2F%2Fbruffbloomsday.blog: ALL ABOUT BLOOMSDAY! Bloomsday (a term Joyce himself did not employ) was invented in 1954, on the 50th anniversary of the events in the novel, when John Ryan (artist, critic, publican and founder of Envoy magazine) and the novelist Flann O'Brien organised what was to be a daylong pilgrimage along the Ulysses route. They were joined by Patrick Kavanagh,Anthony Cronin, Tom Joyce (a dentist who, as Joyce's cousin, represented the family interest) and AJ Leventhal (Registrar of Trinity College). Ryan had engaged two horse drawn cabs, of the old-fashioned kind, which in Ulysses Mr. Bloom and his friends drive to poor Paddy Dignam's funeral. The party were assigned roles from the novel. 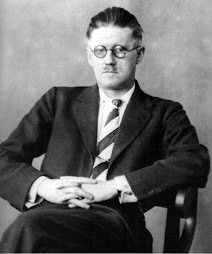 They planned to travel round the city through the day, visiting in turn the scenes of the novel, ending at night in what had once been the brothel quarter of the city, the area which Joyce had called Nighttown. The pilgrimage was abandoned halfway through, when the weary Lestrygonians succumbed to inebriation and rancour at the Bailey pub in the city centre, which Ryan then owned, and at which, in 1967, he installed the door to No. 7 Eccles Street (Leopold Bloom’s front door) having rescued it from demolition . A Bloomsday record of 1954, informally filmed by John Ryan, follows this pilgrimage.